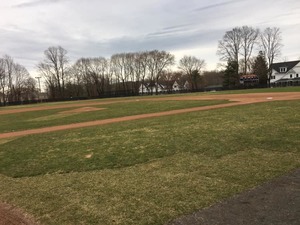 First Selectman Rudy Marconi says funds are starting to come in from those involved in Saturday's incident on Governor Park Baseball Field which will offset expenses incurred by the Town to restore the field to its original condition. Now fully open after several days of cleanup due to the environmental hazard posed by 24 gallons of gasoline being poured on the dirt infield in an effort to "dry the field quicker", restoring the field is said to cost approximately $45,000.00. The Ridgefield Police is continuing the investigation into this incident.